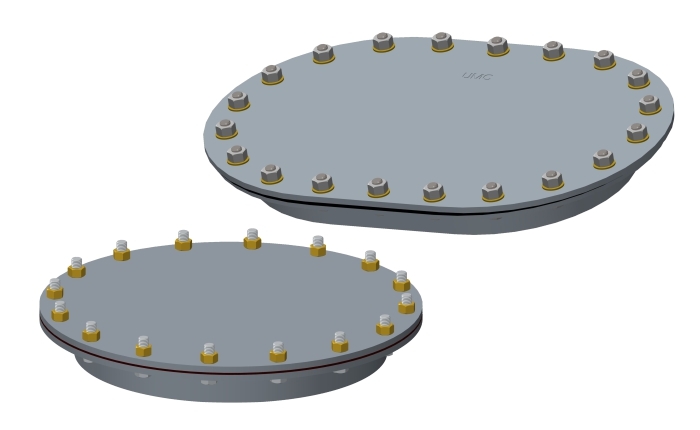 UMC’s Raised Multi-Bolt Manhole Hatches are a great inexpensive option for applications where frequent access to a compartment is not required. They are fabricated using high quality ASTM A36 Steel. We offer various Round and Oval Raised Multi-Bolt Hatches available with various coaming heights and hardware options to meet your specific requirements.